Are you Making These 4 Facebook Ad Mistakes? Facebook is a fantastic platform that allows access to millions of people who may be interested in your product or services. Advertising through Facebook is a powerful tool, but it requires a bit of practice to learn how to effectively use it. Some aspects of the marketing features are easy to navigate, but other elements can be confusing and easily misused. You may not be targeting the correct audience or could be misinterpreting data. We have learned exactly what works and what doesn’t through our own marketing trial and errors. Avoid these 4 common, rookie mistakes in order to get substantial results from your Facebook marketing campaign. You should have a variety of different ads tailored to specific audiences based on their stage in the marketing process and their buying behavior. For example, a Facebook ad targeting someone who has never heard of your business should look different than an ad targeted to someone who spent time reading your website and visited your pricing page. Some ads should attract and educate new customers. This type of ad should be more educational and should provide information about why your service or product would be beneficial. You might offer a free guide or resource that appeals to your target audience and explains the product/solution and why it’s important to them. You do not want to attempt to immediately sell something through these ads because it could potentially turn the Facebook user off. Ads targeted to someone who has spent time looking at your website should look different. These type of ads should be nurturing leads to revisit your website and purchase your services or products. We suggest offering a promotional element to these type of ads because you are retargeting visitors to become customers. Be sure that the copy in your ad is not too long. Your ad should be clear, concise, and to the point. You can explain and promote more information on your landing page; the purpose of a Facebook ad is to to get potential customers to click on it. If a Facebook ad has too many words, less people will read it and you will get less clicks and less customers. Remember, a user will come in contact with your ad as they are casually scrolling, you want to quickly grab their attention. Use the headline space for the most crucial bit of information, such as a sale your business is currently having or a new product your company is introducing. Many new Facebook advertisers make the mistake of targeting too many people. You should not market your ads to everyone. Instead, take advantage of Facebook’s sophisticated targeting features and hone in on the specific audience you are trying to reach. You are much more likely to convert ads to clicks if you are reaching the correct audience. Narrowing down your audience will increase the chances of your ad reaching people who will be interested in your product or services. Specify the interests and demographics of the audience you are trying to reach. For example, if you own a high-end women’s boutique, target your ads to women with a specific income level and age range within a 15 mile radius. This will ensure you are advertising to the right audience, rather than a generic ad targeted to all women. Pro Tip: If you aren’t already, create a lookalike audience of your customers to target people just like them. 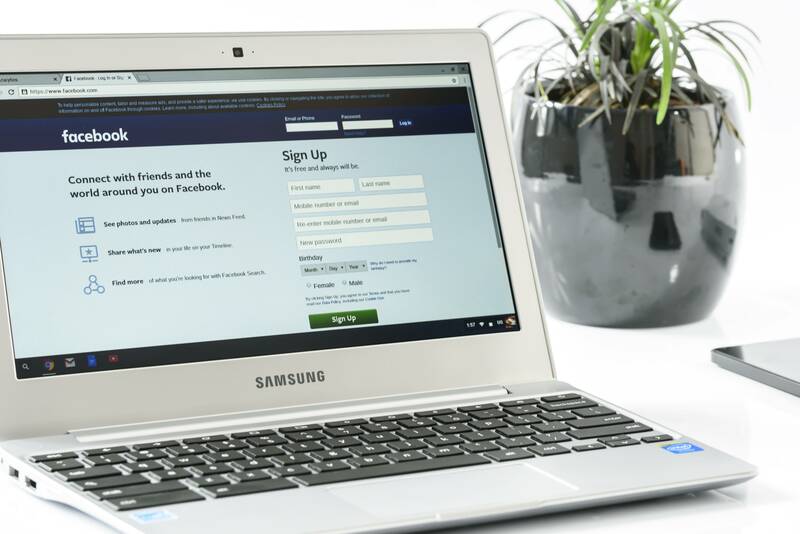 Many people do not allow their campaign to run the correct amount of time in order to make appropriate judgements on the effectiveness of the Facebook ad. Some marketers will fret if they don’t see changes within hours of releasing an ad, while others will never check the effectiveness of the ad and will let it run for months. You will be able to judge the performance of the ad within 1-2 days with an appropriate budget. Let the ad run for at least a full 24 hours before you get nervous about whether is it working or not. If you don’t notice any changes after 48-72 hours, we suggest reviewing your ad (check to be sure you're not committing the above mistakes!) and optimizing it. On the other hand, some marketers will never monitor the ad at all. Do not let Facebook’s automation tools tempt you from checking the effectiveness of the ad! If the ad is not performing, you will need to change it. If you find yourself making some of these mistakes, don’t worry! Facebook marketing tools are all about trial and error. It takes practice to master a Facebook campaign. Go back, make some changes, and consult us for questions and guidance.